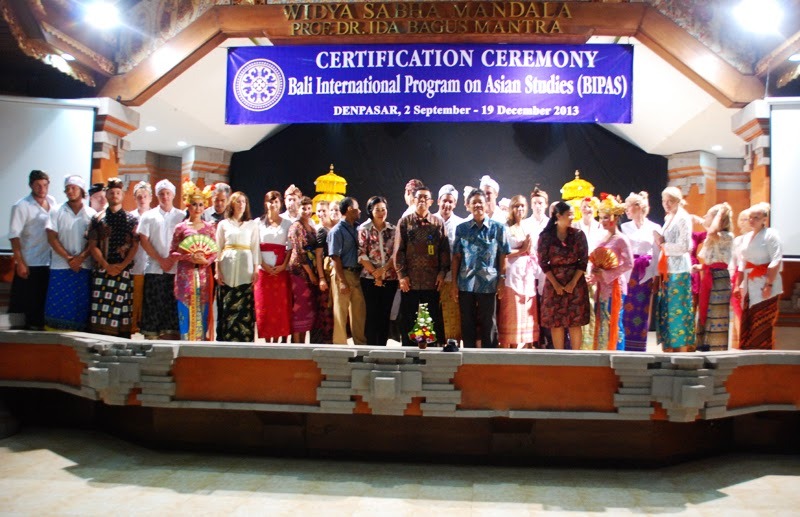 So yeah, today the semester got as good ending as it deserved when the closing ceremony was held in Denpasar campus. One of the most memorable part of the closing ceremony was a great traditional dancing show in the beginning of the ceremony but maybe even better part was in the end of ceremony when the dancers came to the stage again and took some of the students to dance with them. 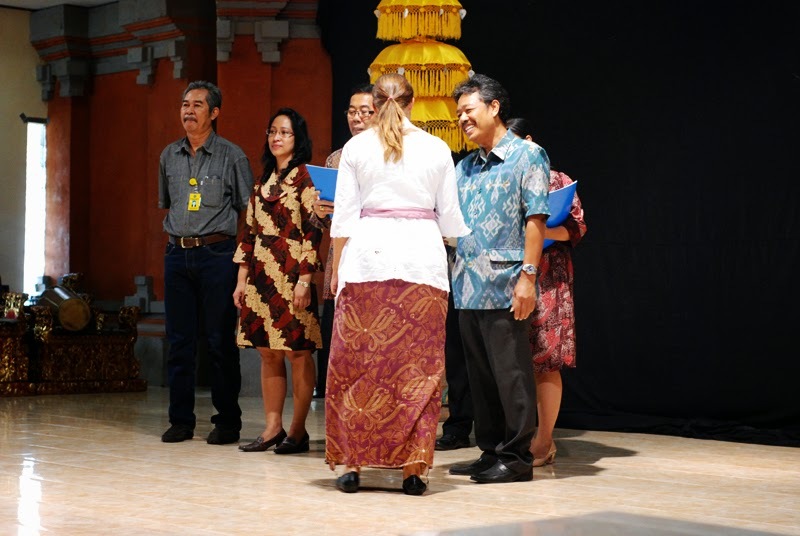 Even I had to go the stage which was quite an interestin experience as I've never trained that traditional dancing like the students did in their workshop. Besides of dancing shows there were also a lot of other programmes in the closing ceremony. 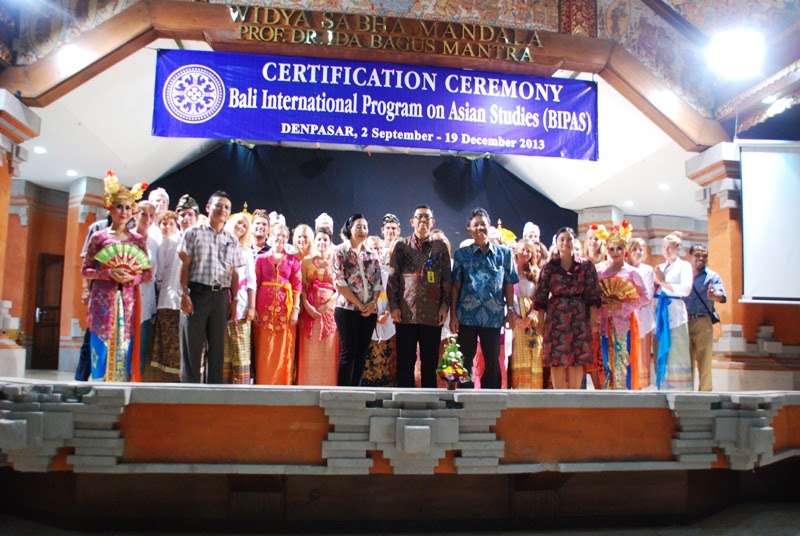 For example the head of BIPAS program Made Rajeg held an speech in the beginning of the ceremony. Made Rajeg wasn't the only one to have a speech: also Saara and Jukka of our exchange students had amazing speeches. Also, the role model of this semester was declared in the closing ceremony. 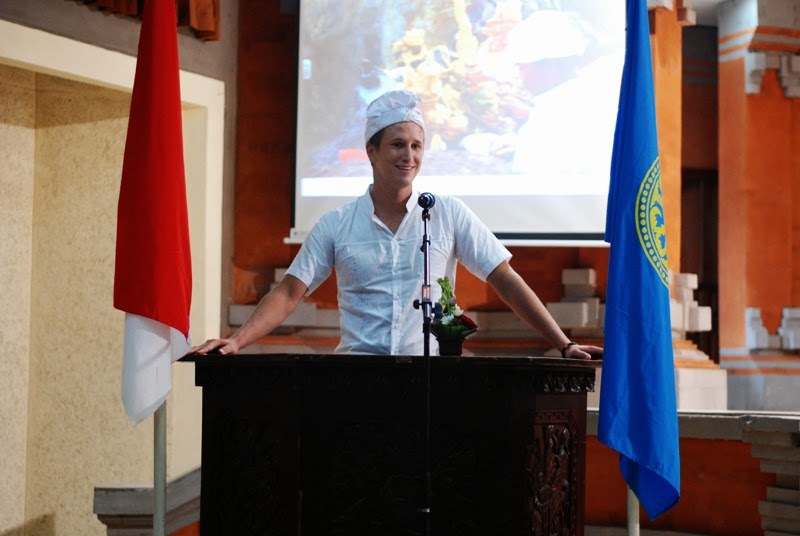 Johan was chosen as an role model student and I truly think that he deserved that :) After the ceremony was over, everybody said goodbyes to the university personnell: luckily most of the students will still meet of each other in tonight's party that we're having in Kuta.